Located in Galicia, in Valdeorras, at an altitude of 600 metres in a climate with cold winters and warm summers, the vineyard of Santa Marta forms part of an integrated production plan where respect for the plant and its fruit is the basis for the preparation of good wines. Santa Marta is a family winery that produces, manufactures and bottles its own wines since 1998 combining the oldest tradition with present day innovation. 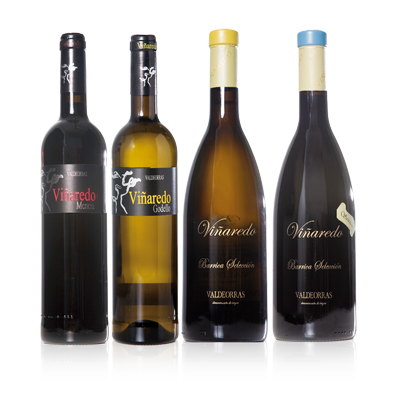 Godello Gold, its well–balanced acidity, its delicious bouquet, its excellent geographical conditions... For many reasons, Valdeorras is today a byword. All the wines from San Marta form part of the D.O. Valdeorras. Single varietal from selected Godello grapes. Single varietal from selected Mencía grapes. Single varietal from selected Godello grapes, fermented in oak barrels. Single varietal from selected Sousón grapes, aged for 8 months in oak barrels and bottled for four months.